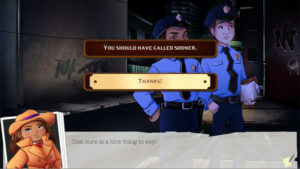 After years of hard work on their detective visual novel, Remort Studios is finally ready to bring their title, When the Shutter Stops, to PC gamers, with the help of funding via Kickstarter. 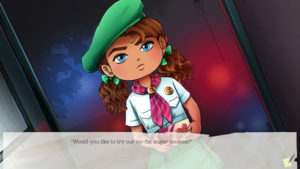 The game, inspired by Sue Grafton novels & the Ace Attorney series (amongst other things), follows a young woman, named Priscilla Vate, a former child prodigy, PI, currently working as a family photographer, who must once again hone her investigative skillset to try and stop a serial killer from going free. 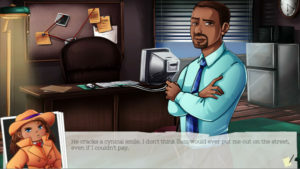 Although the title is a branching visual novel with a standard choice system, it will also offer non-traditional dialogue interactions through investigations and interrogations. 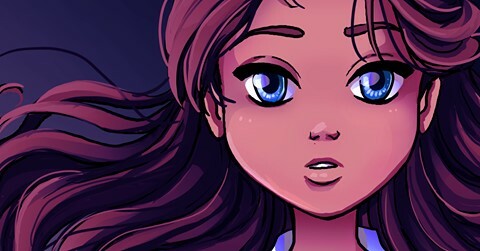 If Remort Studios reaches their $10,000 goal (almost 1/4 the way there already), they’ll be able to put the final touches on their game and release it by next December. If they exceed that amount, they’ll put the additional funds towards new character & scenario creations, voice acting, and further rewards for backers. The campaign for When the Shutter Stops is now live on Kickstarter and will run until October 23rd. 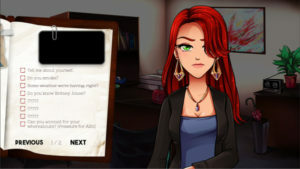 A free demo showcasing the interrogation gameplay as well as the 1st & 2nd investigative interactions is available on itch.io. UPDATE: This Kickstarter is now closed. Unfortunately, it didn’t quite reach its campaign goal, but will be doing a campaign re-launch in Spring 2019.